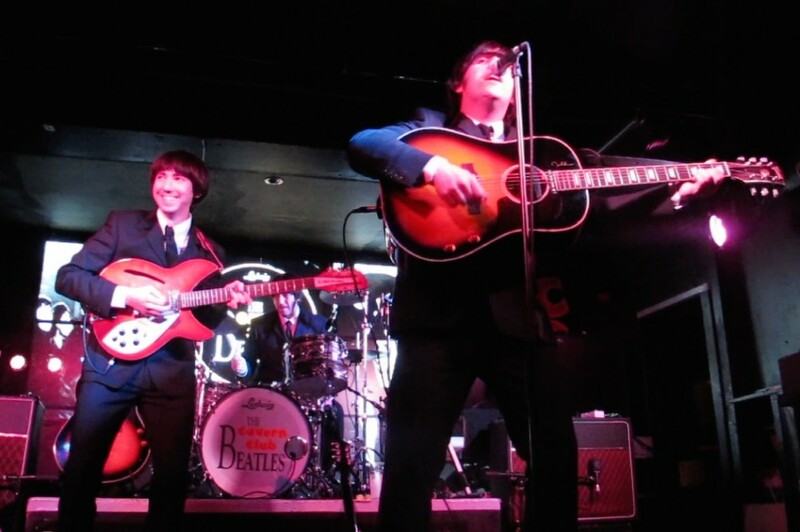 The Cavern Club Beatles play the band’s greatest hits every Saturday night at Liverpool’s Cavern Club. “So, are you a Beatles fan?” Normally, this would seem an easy enough question to answer. Sure, I like their music. Yes, I burned through a cassette tape of their greatest hits as a teenager, twisting and shouting as I tootled around town in my second-hand wheels. But when you’re talking to a man who carries a British Beatles Fan Club Card in his wallet, displayed with pride of place in the little plastic window typically reserved for a driver’s license, it comes across as rather a loaded question. This is Liverpool, after all—the Beatles hometown, a Mecca for Fab Four aficionados—and I’d bet the contents of my own wallet (expired receipts, a few empty gum wrappers, and a video rental card for a chain that’s gone bust) that half the tourists in town are carrying similar Beatles-branded ID. So if you say, “Yes, I’m a fan,” then you’d better be prepared to go toe-to-toe on band trivia. For instance, did you know that Paul McCartney used to play a right-handed guitar strung left-handed, because it was cheaper–or that George Harrison was actually born on February 24, 1943, NOT February 25, as noted on his birth certificate? Nope, me neither. Watch where you walk in Liverpool, or you’re likely to tread on a Beatle. 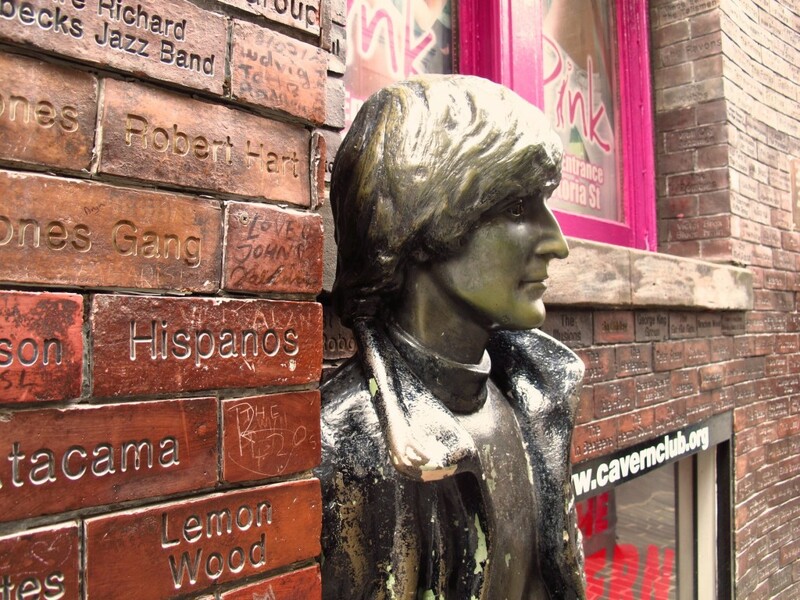 You’ll find this statue of John (or a close facsimile there-of) on Mathew Street. Beatlemania reaches epidemic levels in the city every August during International Beatleweek, when fans from across the universe—or at least around the world—come together for exhibitions, memorabilia sales, guest speakers and live music by Beatles tribute bands. Amy Laughinghouse, August 19, 2014. 3 Comments on Beatles Fans Come Together in Liverpool, England. Category: England, Europe, Music, United Kingdom. Tagged: Beatles, Beatleweek, Cavern Club, International Beatleweek, Liverpool, Liverpool International Music Festival.